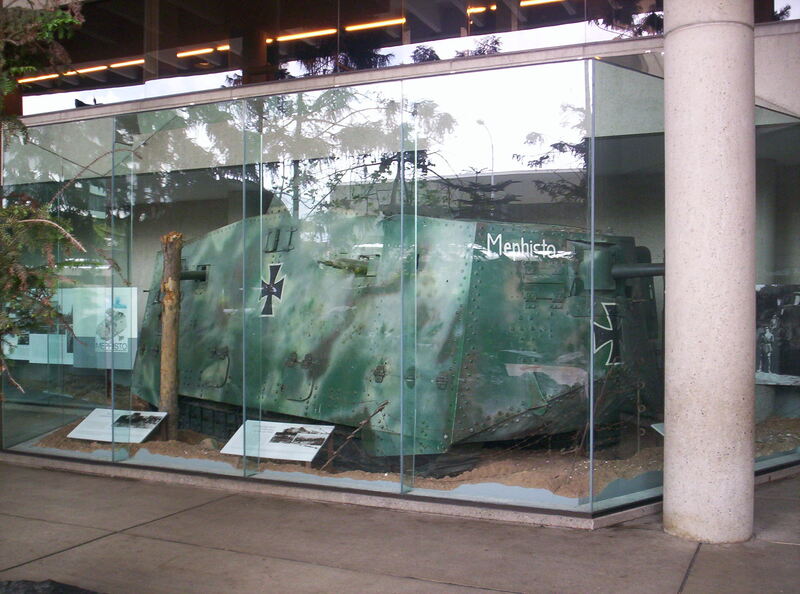 The Australian Broadcasting Corporation (ABC) is featuring an hour long audio article on the WW1 German tank Mephisto. The program is part of the show “Conversations with Richard Fidler.” The episode can be listened to here. The first tanks were invented in a desperate attempt to end the agony of trench warfare. They inspired a new kind of terror on the battlefield – German soldiers called it ‘Panzerschreck’: Tank Terror. 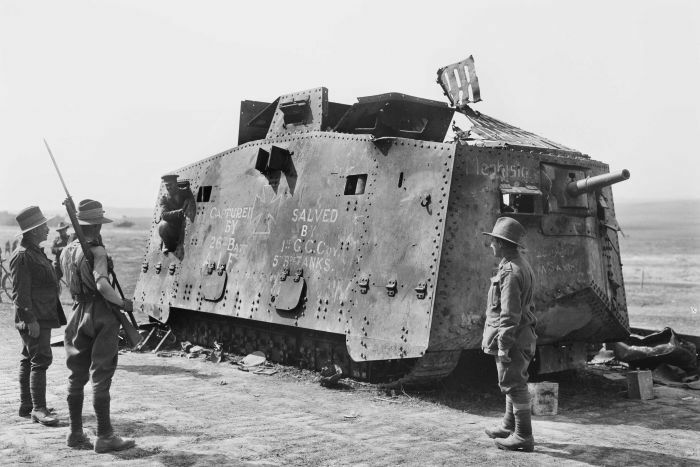 Mephisto was deployed against Australian soldiers in France, but the Australians managed to steal the tank from right under the noses of the German army. Although brought to Australia with enormous fanfare, Mephisto lay neglected for decades. With special thanks to Major General John Cantwell, Jeff Hopkins-Weise, Stephen Dando-Collins and Dr Michael Westaway. Mephisto is on display at the Workshops Rail Museum, where it will remain until early 2018. The Queensland Museum’s Anzac Legacy Gallery announced as part of the Anzac Centenary commemorations, will eventually provide a permanent home for Mephisto. Listen to John Cantwell’s 2012 conversation with Richard. Explore the ABC’s WW1 Centenary site, Australia Remembers.